Turkish Prime Minister Recep Tayyip Erdogan said Tuesday that a constitutional court ruling that lifted a previous ban on Twitter was wrong and should be overturned. “The constitutional court’s ruling on Twitter did not serve justice. This ruling should be corrected,” he told a parliamentary meeting of his AK Party. 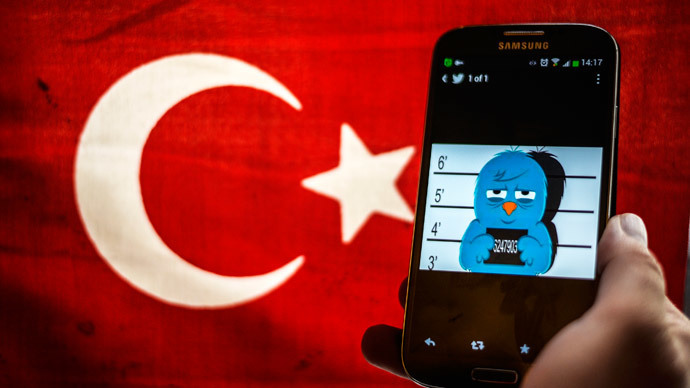 Access to Twitter in Turkey was blocked in the run-up to local elections on March 21, but Turkey’s telecoms authority TIB lifted the ban on April 3 after the Constitutional Court ruled that the ban breached freedom of expression and individual rights. Twitter had become a platform for leaked audio recordings of compromising conversations between government officials. In the run-up to the local elections, Erdogan deemed this to be damaging to him and his AK Party. The social media site has more than 10 million users in Turkey. Erdogan claimed the recordings were either manipulated, undermined national security, or intruded into people’s private lives and tried to cut off access to both Twitter and the video sharing site YouTube. 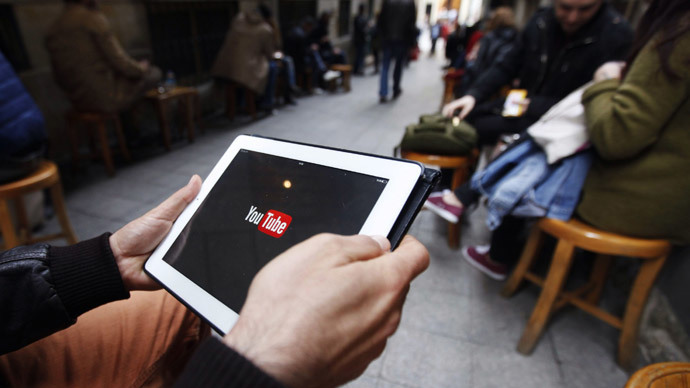 A ban on YouTube was also lifted last Friday by a lower court in Ankara, which means it may yet be overruled by a court of higher jurisdiction. Although the court ruled that the ban on 15 videos would remain in place. 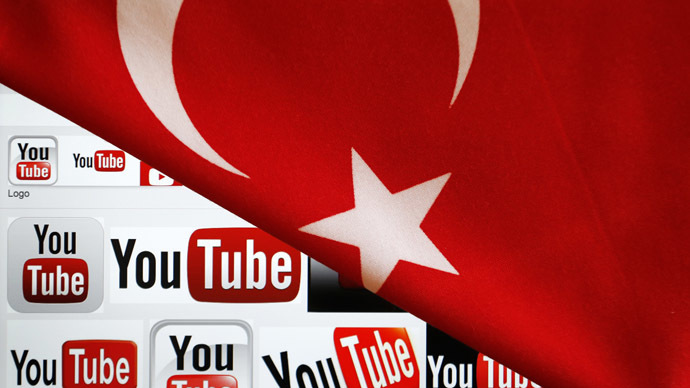 In practice YouTube remains blocked in Turkey, pending a likely government appeal. The YouTube ban was announced by government officials shortly after a video was published on the site of several government officials allegedly discussing a possible false flag operation in Syria to justify a military incursion. Various wiretapped recordings began to appear at the beginning of this year, following a political split between Erdogan and his former ally and now rival Fetullah Gullen, a politician and preacher now living in exile in the US. Erdogan has accused Gullen of being behind the recordings. 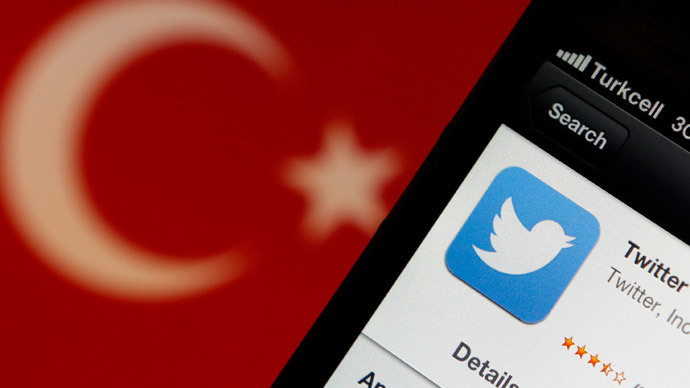 Although initially Erdogan appeared merely annoyed at the leaks as the local election approached, he began to take concrete measures and banned Twitter and YouTube. A government-sponsored bill in February makes it easy to block websites without the need of a court order. But despite the leaks and the ensuing bans, Erdogan’s AK Party won 45 percent of the vote, far more than the bloc of opposition parties. Erdogan’s critics at home and abroad criticized his crackdown and denounced it as a move toward authoritarianism. Erdogan also said Tuesday that now he has won local elections he plans to “liquidate” his enemies he sees as “traitors” who have contrived a corruption scandal and were responsible for the stream of graft allegations and the illegal tapping of thousands of phones. “The nation gave us a mandate for the liquidation of the parallel state. We will not have the slightest hesitation. We shall never forget the betrayal,” he said.